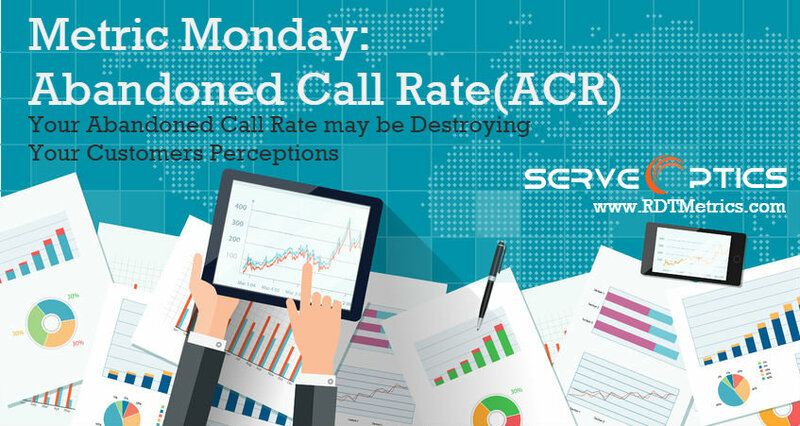 Abandoned Call Rate (ACR) is a metric that can apply to a chat connection and to telephone contact between a customer and a service desk agent. It is an important metric—one that virtually every service desk manager tracks. ACR provides a direct measure of the number of callers who do not receive the service they need and expect after being placed into an on-hold queue. In the case of chat support, it measures the rate at which customers abandon the chat window while waiting for an agent to respond. To track the effectiveness of each communication channel, it is generally recommended that separate ACR metrics be established for each channel. In either case, high ACR values negatively affect customer satisfaction and, when ACR is too high, it can lead to negative social media exposure and even to loss of revenue for the company or the brand. The caller hangs up while still navigating the IVR system of menus. This does not constitute an abandoned call. The caller hangs up during a window of a few seconds after being placed into a queue. Such callers may drop off because they inadvertently chose the wrong IVR menu, or otherwise believe they have made a mistake. These disconnects can be monitored through the ACD system and may be set to three seconds, five seconds or some other value. Be cautious and realistic, though, in setting that “few seconds” threshold. For instance, extending that window to, say, 20 seconds, will give you a false picture of your ACR because some callers are unwilling to wait for anything less than a nearly immediate connection to an agent. Ignoring disconnects for 20 seconds would grossly under calculate your ACR. Note however: If the ACD informs the caller of his or her position in the queue and/or the estimated wait time on hold; and, if the caller hangs up within a few seconds thereafter, the disconnect should be considered an abandoned call. Some callers do hang up upon hearing how long they have to wait. They are simply abandoning now, rather than waiting to abandon later. On the other hand, if the ACD system notifies the caller of wait time or queue position, then offers to schedule a call back which the caller accepts, the disconnect should not be considered an abandoned call. ACR is expressed as a percentage. ACR = [ (Number of calls abandoned during a period of time) ÷ (Total number of calls during that period) ] * 100. However, this simple formula does not account for the situations noted in items 2, 3 and 4 above, which is why many service desks use a somewhat more elaborate formula. Simplified, this shows 80 of 970 calls were abandoned, which equals 8.2%. Before discussing the impact of high ACR scores, the question “What is a high ACR score?” must be answered. Many in the service desk business point to two percent as a goal and five percent as acceptable, however there is no industry-wide “ideal” ACR score. Generally, ACRs in the two to three percent range have little impact on customer satisfaction; two or three abandonments per 100 callers won’t usually do much damage. However, getting into the ten to twelve percent range—one of every eight to ten callers abandoning—can begin to damage the customers’ perception of the service being rendered. Abandonment often brings downtime and reduced productivity to customers, which, in this day of social media, can translate to negative postings about the company’s ability to support its customers. Service desk managers often look at increasing the agent headcount to solve high ACRs. Adding people to the service desk is costly, though, and should be considered against the expected reduction in the ACR. For instance, adding one new agent to a five-person service desk increases the payroll, benefits and training outlay by 20 percent (assuming all are paid equally). Does reducing the ACR by, say, three percent warrant a 20 percent increase in expense? Each service desk manager needs to answer that in terms of his or her operation. There is a direct relation between Average Speed to Answer and Abandoned Call Rate that is intuitively clear. No one likes to wait on hold for extended periods of time, and a portion of those callers will abandon the call either frustrated and annoyed, or in hopes that calling at another time will connect with an agent more quickly. Likewise, callers sometimes choose a chat window to get support, but abandon it and then call by phone, hoping for a quicker connection and resolution. If ACR metrics are kept on both channels of communication, inefficiencies in each become more visible. Generating the ACR metric is usually a feature of the ACD or service ticketing software package in use. However, each of those systems, and others that may be in place to handle various service desk functions, require separate log-ins and credentials while only addressing individual segments of the overall service desk operation. 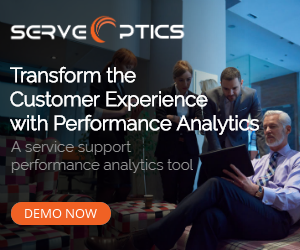 A more efficient approach in monitoring ACR scores—as well as the metrics and wealth of data each stand-alone software package generates—calls for an application that combines the output from all relevant service desk applications into a single view, regardless of the technology in place. Such software is essentially a consolidated dashboard that presents data produced by multiple ITSM tools. Such software enables you to monitor call center and service desk operations with real-time performance metrics and automated reporting. It gives you the ability to manage by the metrics no matter which ITSM system produces them.